We can't escape from the humidity and dryness of our tropical country and a good skincare range is important to protect our skin. White Formula Moisturizing Hyaluronic Acid range finally landed in Malaysia and I so excited to own this full set of White Formula skincare. 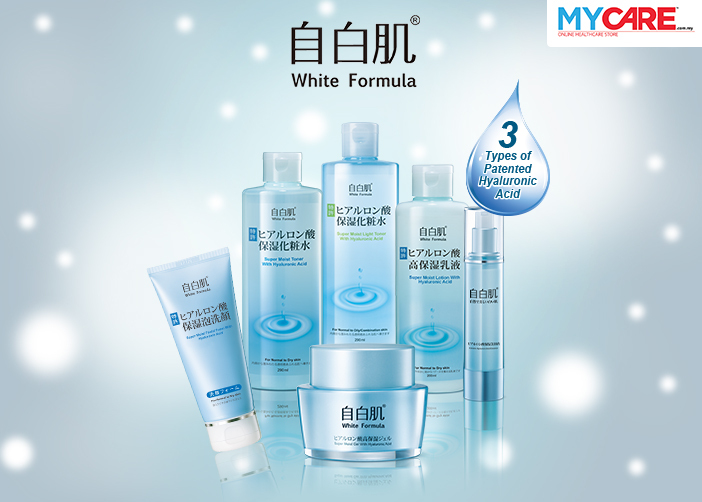 In very short time, White Formula's products being recommended on Taiwan’s Beauty Queen 女人我最大 TV program. Their Super Moist Toner is rank No. 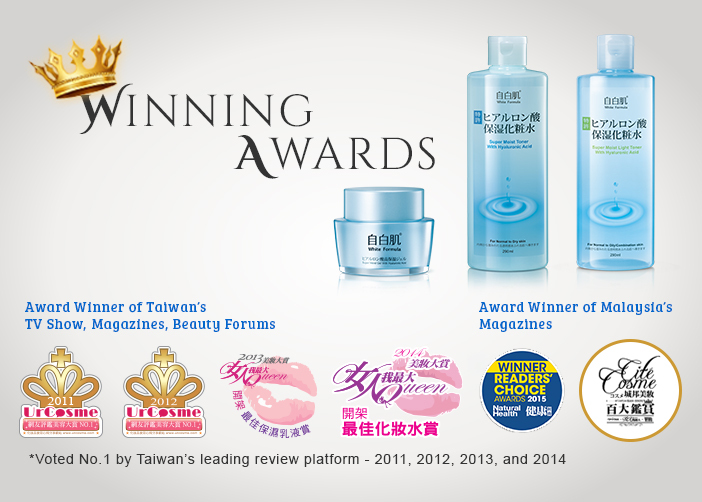 1 Moisturizing Toner in Taiwan and it feeds your skin with moisture and gives immediate result. Hyaluronic acid is well known ingredient for skin moisturizing. Super moist series contain 3 types of patent Hyaluronic Acid to transmit moisture, replenish moisture and retain moisture. White Formula Moisturizing Hyaluronic Acid is tested No Alcohol, No fragrance, No colorant and Low irritation. Follow my daily skincare routine with White Formula Moisturizing Hyaluronic Acid. One of my favorite cleanser as the texture is light and it does not tighten my skin. The facial foam contains 3 unique types of Patented Hyaluronic Acid whereby it helps to 10x times of hydration. Step on how to use: Use twice a day. Squeeze 1cm to palm and lather to foam before applying to wet face. Gently massage in circular motion and rinse off with clear water. This is the superstar product as it been crowned as No. 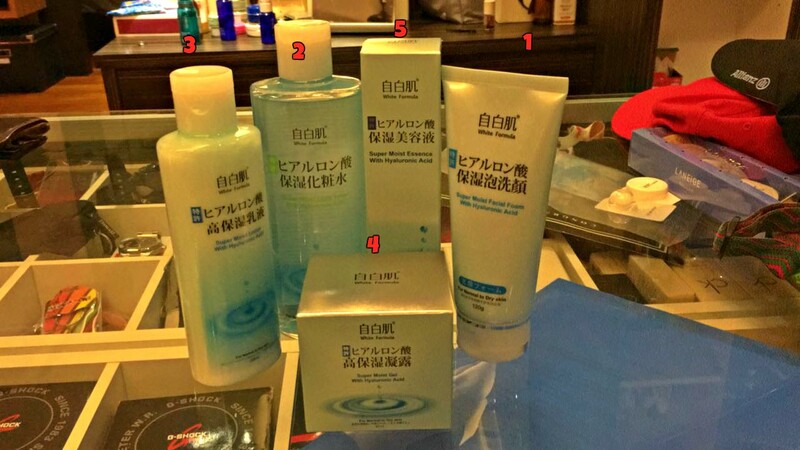 1 Moisturizing Toner in Taiwan. Super Moist Toner with Hyaluronic Acid contain 3 types of patented Hyaluronic Acid (Sodium Hyaluronic, Hyalo-Oligo & SYN-HYCAN). The toner stimulate collagen regeneration, gives smooth and firm effect to the skin. Step on how to use: Pat a small amount of toner on the cotton. Pat gently upward on the face. For best result, use twice a day. I love the light and soft texture of the lotion. Super Moist Lotion helps to form a protector layer over your skin to keep skin hydration. It also helps to stimulate collagen regeneration and easily absorb into my skin. Non sticky feeling after the application. Step on how to use: Pour a small drop on the palm. Apply on the face and neck. Gently massage until the lotion adsorb into the skin. Super Moist Gel with Hyaluronic Acid contains extra 2 types of patented Hyaluronic Acid (Ceramic and Moist24) whereby it helps to boost up skin defense. You can ensure the safety of your skin as it provides long lasting moisturisation within 24 hours! Beside work as moisturizer, you can treat it as night mask to promote skin elasticity and hydration. Wake up with a refreshing skin. Amazing result and I happy with my skin condition. Super Moist Essence with Hyaluronic Acid gives 10 X hydration power and provide long lasting moisturization to our skin. The best part, it absorb easily and not sticky feeling. Step on how to use: Pump a small drop and apply on the face and neck. Apply twice a day for better result. Overall, I have discover the secret to younger skin with White Formula Moisturizing Hyaluronic Acid. Your skin deserve a good skincare regime and White Formula 's products is the answer to your skin.